Sports Illustrated has put out a piece on the “Biggest gut-punch loss” for each and every franchise, the Chiefs included. 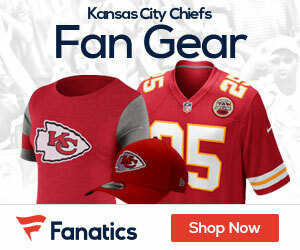 The game that the author the piece, Doug Farrar, picked is an tough one – a game that stopped the Chiefs from the AFC Title Game vs the Steelers in 1996. Marty Schottenheimer Gut-Punch Game #2. 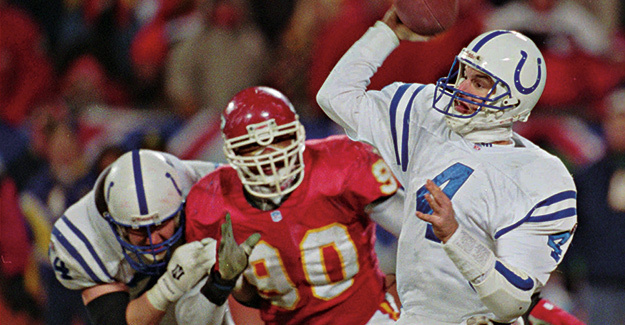 The 13–3 Chiefs looked to be the AFC’s best team, and they started their postseason against a Colts team that was without Marshall Faulk and Tony Siragusa. The problem was a frozen field at Arrowhead Stadium that prevented kicker Lin Elliot from making any of the three field goals he attempted, which proved to be more than the difference. Quarterback Steve Bono threw three picks before he was benched for Rich Gannon, and Colts quarterback Jim Harbaugh was a relatively unspectacular player who simply didn’t make mistakes. While that was tough, there’s no doubt the loss two years later at home in the divisional round to the Broncos also has to be right at the top. Yes, that was a tough loss for the Chiefs.